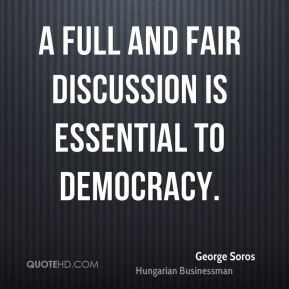 A full and fair discussion is essential to democracy. 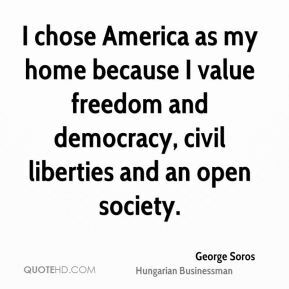 I give away something up to $500 million a year throughout the world promoting Open Society. 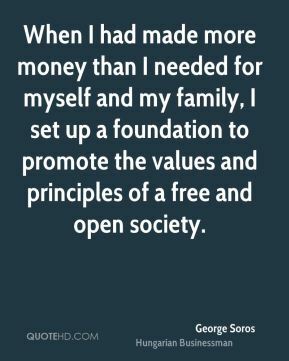 My foundations support people in the country who care about an open society. It's their work that I'm supporting. So it's not me doing it. 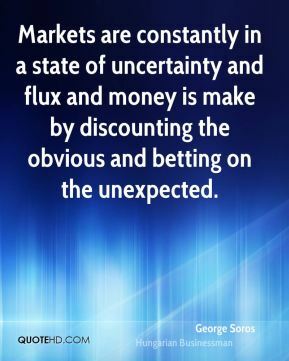 Markets are designed to allow individuals to look after their private needs and to pursue profit. 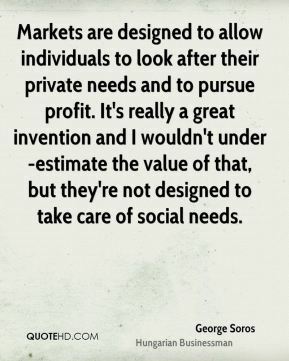 It's really a great invention and I wouldn't under-estimate the value of that, but they're not designed to take care of social needs. My foundations support people in the country who care about an open society. 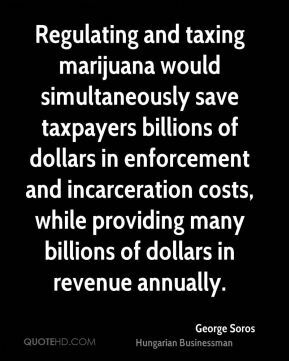 It's their work that I'm supporting. 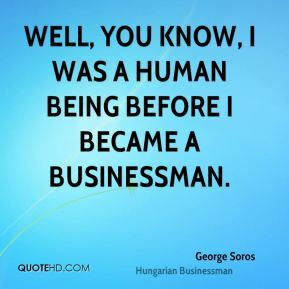 So it's not me doing it. But I can empower them. I can support them, and I can help them. 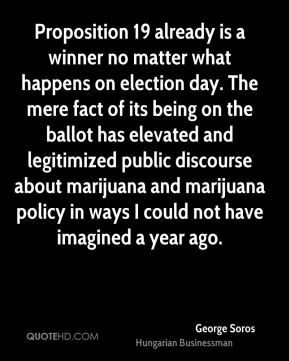 Proposition 19 already is a winner no matter what happens on election day. 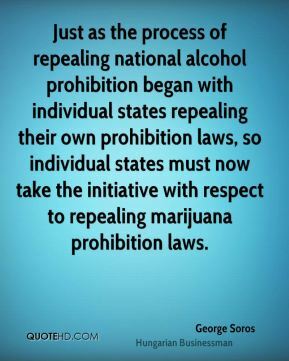 The mere fact of its being on the ballot has elevated and legitimized public discourse about marijuana and marijuana policy in ways I could not have imagined a year ago. 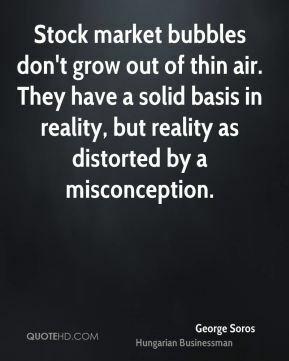 Stock market bubbles don't grow out of thin air. 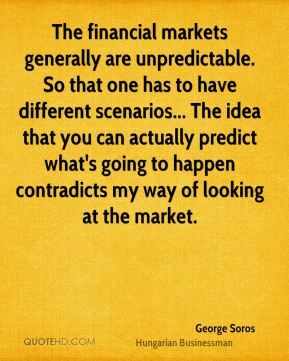 They have a solid basis in reality, but reality as distorted by a misconception. 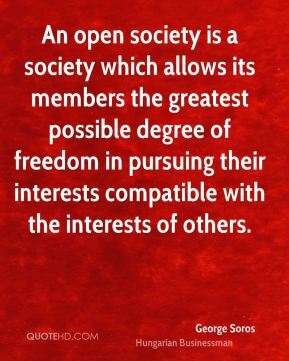 The people currently in charge have forgotten the first principle of an open society, namely that we may be wrong and that there has to be free discussion. 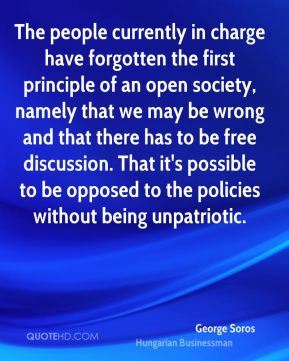 That it's possible to be opposed to the policies without being unpatriotic. 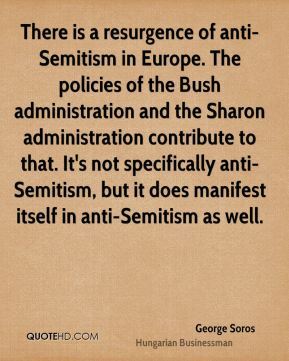 There is a resurgence of anti-Semitism in Europe. 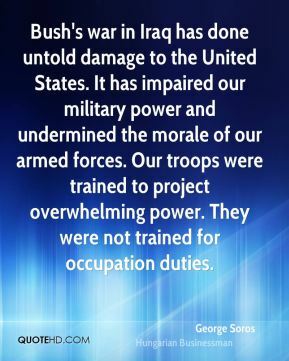 The policies of the Bush administration and the Sharon administration contribute to that. 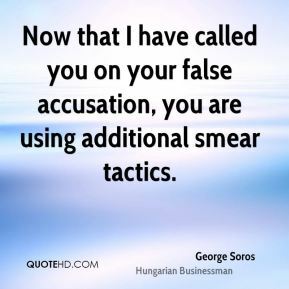 It's not specifically anti-Semitism, but it does manifest itself in anti-Semitism as well. 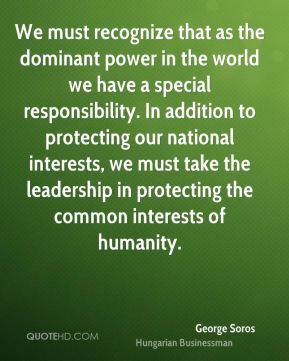 We are the most powerful nation on earth. 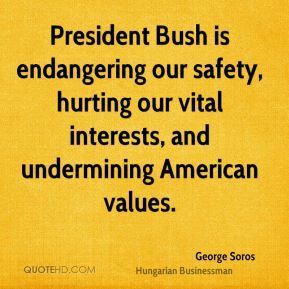 No external power, no terrorist organization, can defeat us. 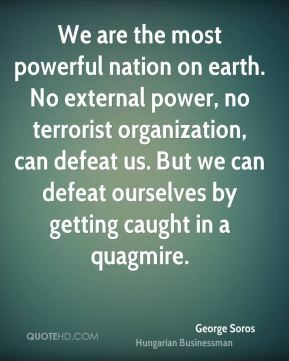 But we can defeat ourselves by getting caught in a quagmire. 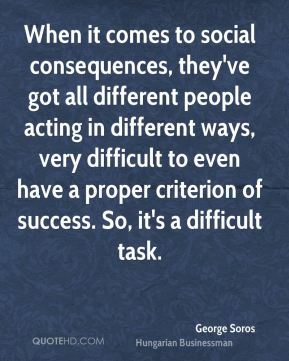 When it comes to social consequences, they've got all different people acting in different ways, very difficult to even have a proper criterion of success. 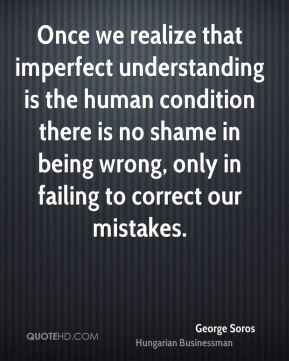 So, it's a difficult task. 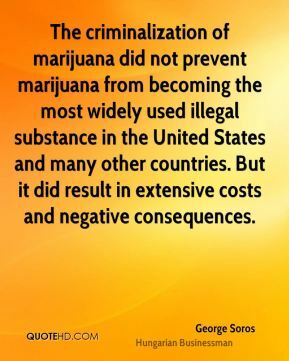 Who most benefits from keeping marijuana illegal? 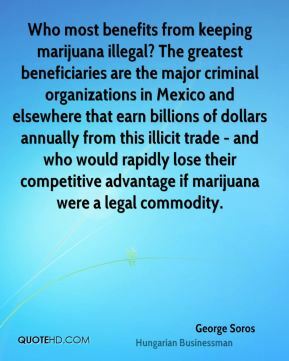 The greatest beneficiaries are the major criminal organizations in Mexico and elsewhere that earn billions of dollars annually from this illicit trade - and who would rapidly lose their competitive advantage if marijuana were a legal commodity.